Mitsubishi Motors Fleet iQ is designed to offer Mitsubishi’s fleet customers an array of services and solutions that enhance mobile resource visibility, safety, and uptime, while reducing total cost of ownership. Mitsubishi Motors Fleet iQ will harness Fleet Complete’s CONNVEX™ cloud-based connected vehicle and data analytics platform in creating customisable solutions that are aimed at maximising fleet efficiency and effectiveness. Mitsubishi Motors Fleet iQ will provide customers insights into several areas of their vehicle operation, including the ability to monitor driver behaviour such as speeding, idling, rapid acceleration, harsh braking and cornering. The devices will transmit real-time vehicle location data, monitor fuel usage, idle time, and report on vehicle diagnostics. This allows for a deeper understanding of how their fleet vehicles are used and, ultimately, how they can be used to reduce operating cost while maximising revenue generation opportunities. “The introduction of our connected fleet vehicle solution is an exciting step forward as we differentiate our fleet proposition to deliver concrete, actionable insights into our customer’s fleet operations with the aim to improve fleet effectiveness and returns. 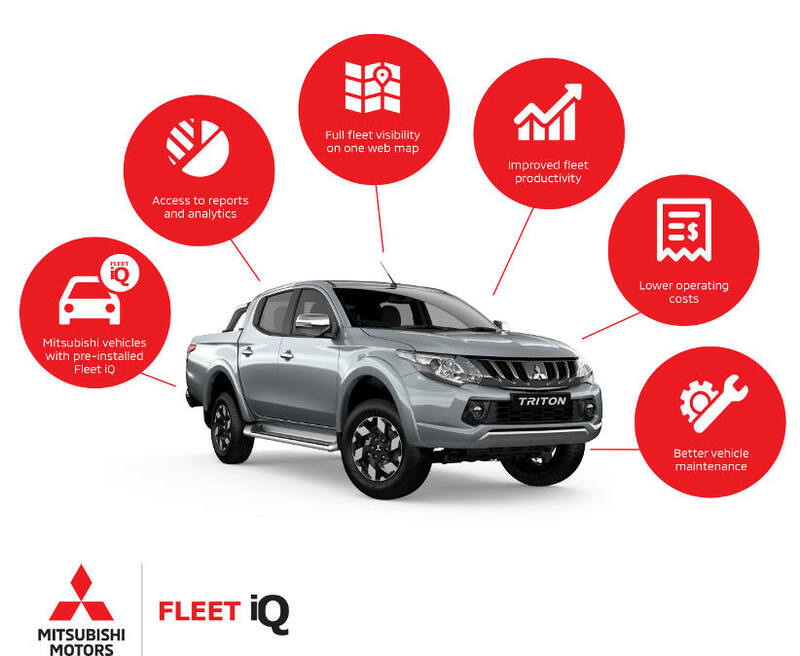 Our insights platform gives Mitsubishi Motors a whole of fleet solution to our customers across all fleet assets. We have the ability to provide better service to fleet customers, through a heightened level of business insights and data collection – and in turn drive both value and vehicle sales in the fleet sector”, said Fulvio Fattore, Head of Fleet for Mitsubishi Motors Australia. The new fleet management solution gives Mitsubishi the ability to provide better service to fleet customers through a heightened level of business insights– and in turn drive vehicle sales in the fleet sector. The partnership will also facilitate the utilisation of Fleet Complete’s comprehensive global expertise in all aspects of fleet management, enabling Mitsubishi access to advanced vehicle analytics that will help shape new solutions and services to their customers in the future.